In recent years the ‘degrowth’ movement has demonstrated why the richest and most impactful economies must initiate a process of planned contraction of their energy and resource demands, if humanity is to have any hope of achieving a just and sustainable world. Much has been written on this ‘why’ of degrowth. In their new MSSI research paper, Samuel Alexander and Brendan Gleeson focus more on the strategic question of ‘how’ that transformation beyond growth might be achieved. While addressing questions of transition and transformation, their further point of departure is to look at degrowth through the lens of urban studies – and conversely, to look at urbanity through the lens of degrowth. More specifically, Alexander and Gleeson consider how a degrowth transition might be organised in urban landscapes and, furthermore, how such a transition might affect the nature of social, economic and political organisations within cities. The authors explain how they were motivated to explore this mode of societal transformation due to their increasing pessimism that governments, especially in capitalist societies, would initiate a degrowth process from the ‘top down’. 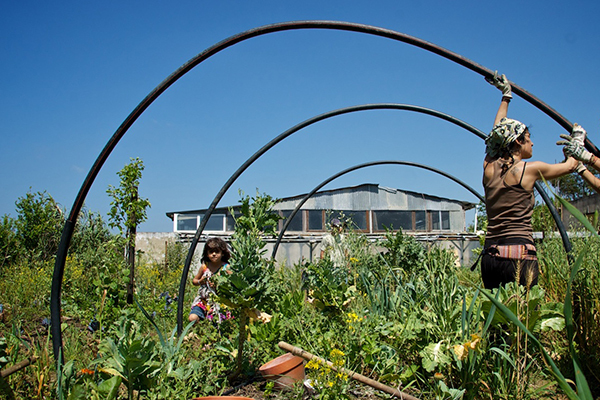 It was that pessimism that lead them to develop, in the context of degrowth, a grassroots theory of change ‘from below’, which they sketch out in this research paper. They conclude the analysis by outlining how early signs are emerging of what, tentatively, could be considered the birth of a ‘degrowth urbanity’. How are these urban social movements organising themselves? How might organisations within society be impacted if these movements were to scale up? These are some of the issues and questions explored. MSSI’s Research Paper series is aimed at showcasing new and exciting sustainability knowledge. The papers are referenced and are subject to an internal academic review process. The Institute hopes this scholarship will stimulate thought and discussion within the University of Melbourne and in the broader community.